A whole disc of solo clarinet seems like a lot of just one flavor, but I found the pieces varied and delightful. I was drawn to it because I was looking for music by Betsy Jolas, with whom I studied a long time ago at Yale. I write music for orchestra, chamber ensembles, chorus; play the French horn; and teach freestyle improv. My blog is named after a piece I wrote for cello and piano called Elusive Sleep. 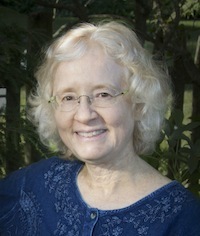 Check out my sheet music and recordings at spindrift.com. I offer web design services at ProsperOnTheWeb. Let me know if you need a website, blog, or social media campaign! I live in Massachusetts, USA with my husband and our discus fish. Powered by WordPress | Theme: Elusive by PamM.